As happens so often in Vietnam we bumped into a couple of people we met in Hanoi- everyone’s either heading North or South along the coast so the same people always crop up. As soon as we had a drink and got to know their mates the Bermuda effect hit. When we got bored of lying on the beach drinking Passion beers from Louisiane Brewhouse, we took a trip to the secluded calm of Long Beach 40km away, to take our pick of live seafood for lunch. We enjoyed the therapeutic qualities of the natural hot spring mud baths, simultaneously acting like children and getting mud all over the place. We took the cable car over to Vinpearl amusement park and picked up a few grazes from dodgy water slides. Some days we just sunbathed. Why would we ever want to leave? A couple of people, thanks to lack of will power and peer pressure from us, ended up staying a grand total of 3 weeks. There was even talk of apartment-hunting. Alas, all good things must come to an end- so we had one final night of debauchery for Halloween before calling it a day. 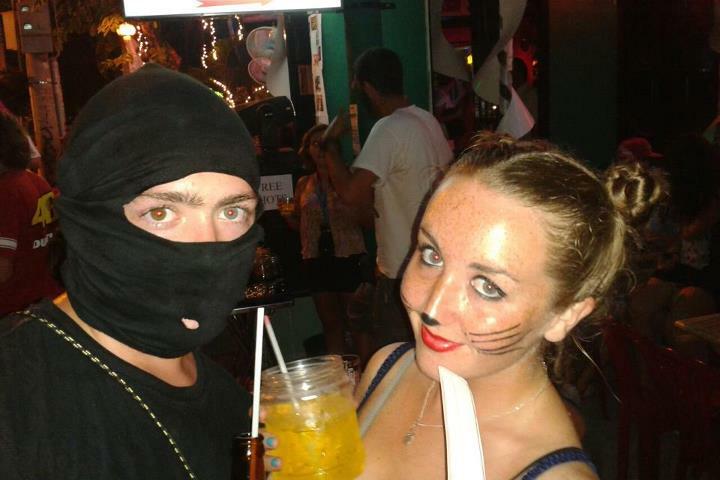 Matt went dressed as a ninja and I as a cat- not a poor effort for outfits cobbled together at the last minute- and we were accosted by so many giggling teenagers wanting to have their picture taken with us outside Red Apple bar. Matt in particular got a lot of attention, even using his plastic sword in joke fights with a couple of policemen. It was inevitably emotional leaving, but we have a lot to take away from it; not only good memories, but our SSI Open Water Diver certification! 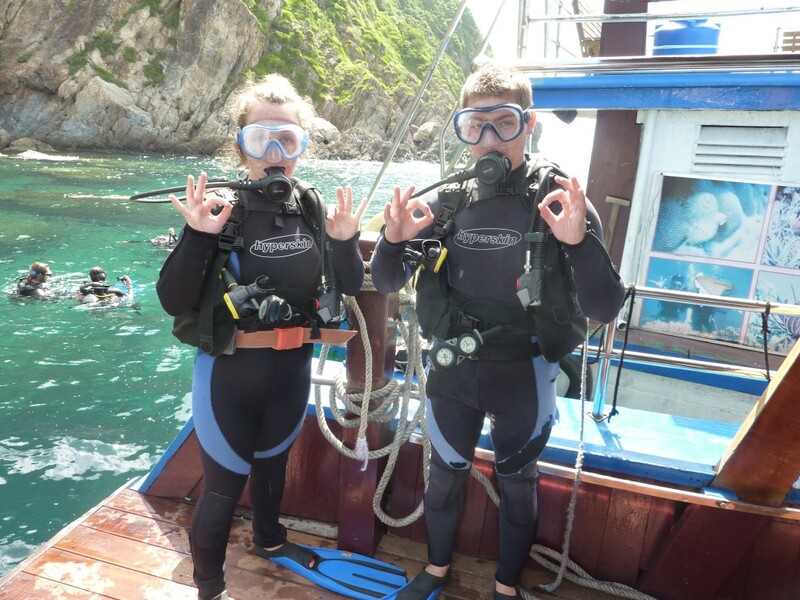 We did a three-day course with Angel Dive, to learn the basic skills and eventually to get to depths of 18m. After a couple of panicky false starts I grew to love it; you can easily spend an hour gazing at stunning coral formations, playing around with clown fish and spotting different sea creatures (coming across an area of frogfish so well camouflaged I thought they were rocks was one cool moment, three barracudas looming overhead was another). 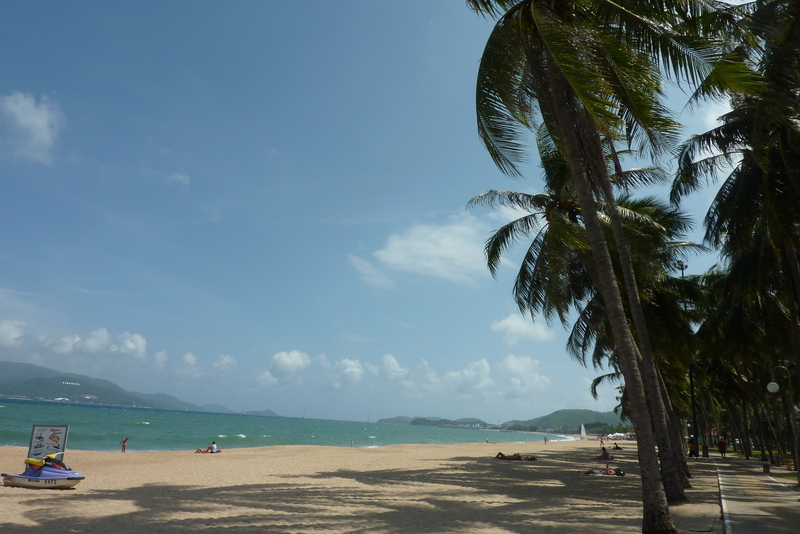 On our second day we were both ridiculously hungover and tired after a crazy Nha Trang night, which had the effect of making everything underwater seem hilarious. Once Matt gave me the giggles neither of us could stop laughing at fish and making our own questionable hand signals for the hour- definitely a crash course in controlled breathing. I can see why people get hooked on diving- we’re already planning on diving again as soon as we can! Now we’re at a different beach, Mui Ne, where the Russians have been replaced by kite surfers. It’s our final stop before Ho Chi Minh City, so I’m making the most of the beach lifestyle while I still can for the next 2 nights; the thought of being back in the city, having to deal once more with traffic and noise after three weeks of calm, fills me with dread. Bets on how long we’ll end up staying here for?